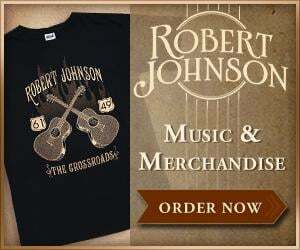 Please visit our PERSONNEL section for more information about the Robert Johnson Blues Foundation. You can Contact Us for all inquiries related to Robert Johnson’s legacy and the Foundation’s work. The Robert Johnson Blues Foundation is dedicated to preserving the music and memory of Robert Johnson through the provision of art education, competitions and scholarships. The Robert Johnson Blues Foundation is making the community a better place to live by increasing the economic status of the residents of Copiah County, Mississippi through the arts. Bring about community change in the most efficient way possible through the magic of the arts. Please realize that funding is derived from generous private and corporate donations, foundation grants, and annual dues. We ask for your help and support in joining our cause as a sponsor, or a Robert Johnson Foundation member. If you are interested in making a donation or becoming a sponsor, please review the Robert Johnson Blues Foundation Donation page, or please Contact Us for more information.